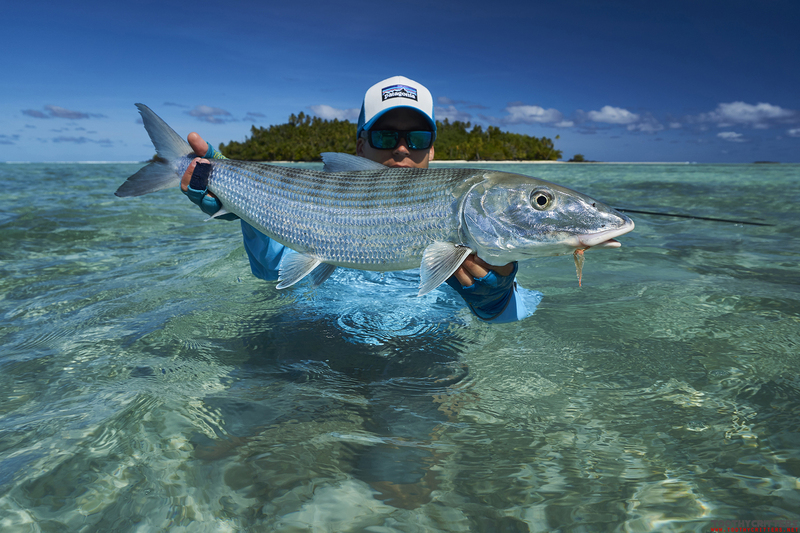 The biggest asset of Aitutaki in the eyes of a fly fisherman are the bonefish. 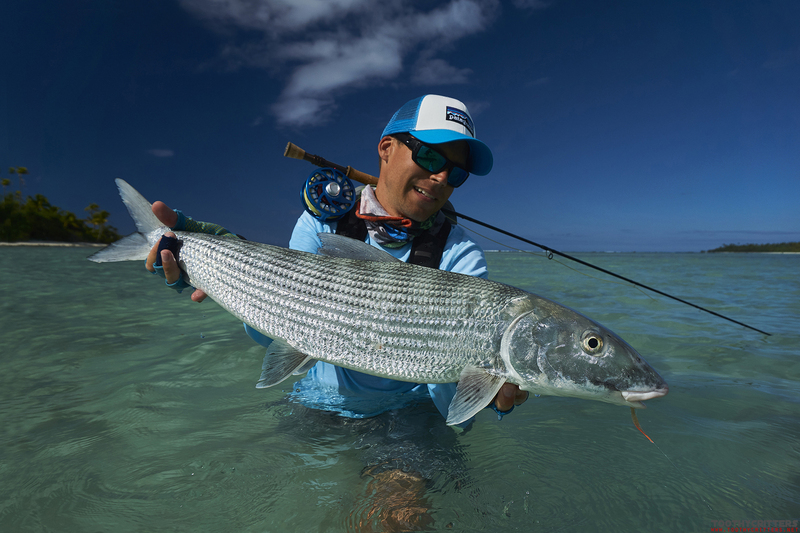 These silver shadows grow up to massive sizes of more than 20 lbs on Aitutaki and although they are not regularly caught on the fly there is nowhere else in the world a higher chance to catch a double figure bonefish on the fly than on Aitutaki. Because this sizes are common on every flat in numerous sizes. 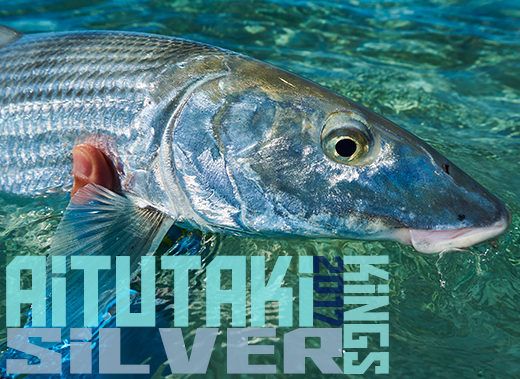 I left Aitutaki 2014 with a whopping eleven to twelve-pounder on my catch list which is in fact a really big bonefish. A fish this size rips line from the reel like there is no tomorrow. What is twelve pound? 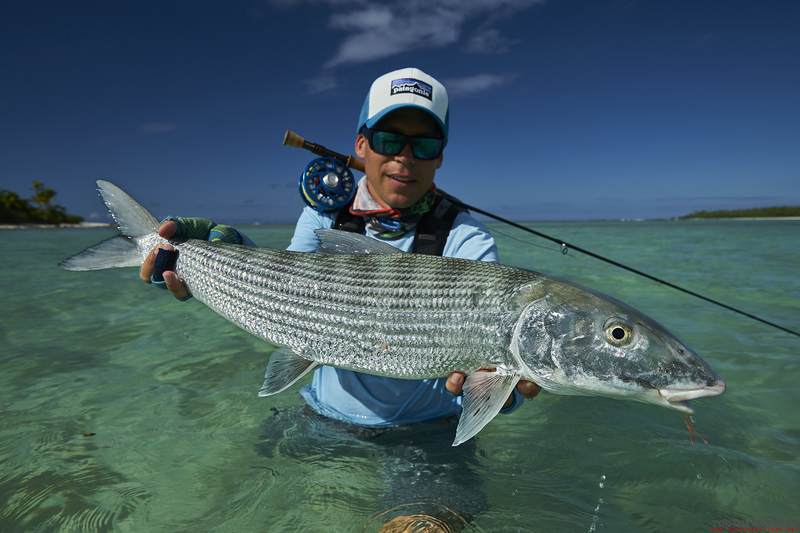 That’s not even 6 kilos but per pound bonefish fight harder than any other fish. 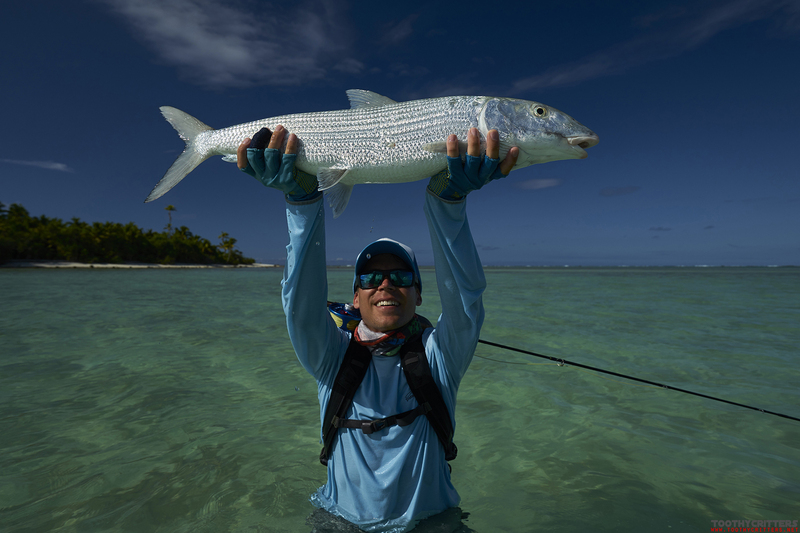 I didn’t expect to catch a bigger one because also on Aitutaki they don’t jump on your hook without doing everything right. Good casting skills and a bit of luck is essential. But what I’m going to tell you. We always want a bigger one. So I too. This time I had a little advantage knowing the fishery, knowing the patters to fish and I had the mental bonus that I did it already. 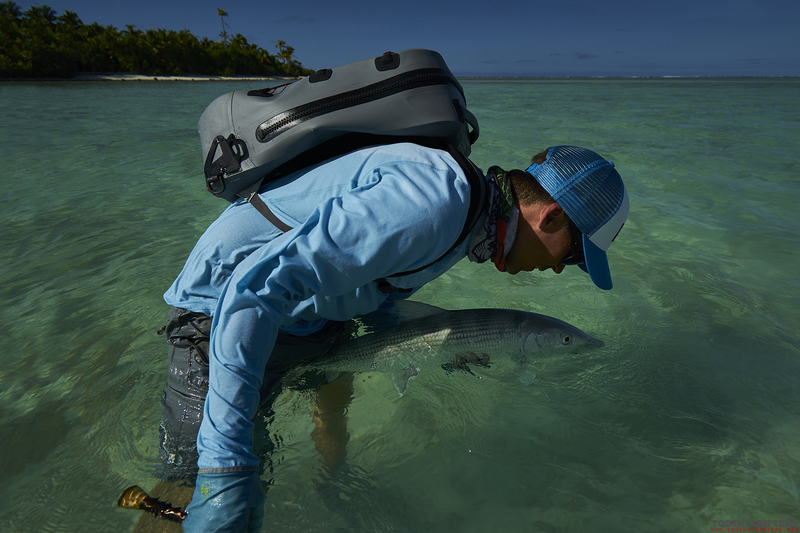 But Aitutaki is a bit different compared to many classic bonefish destinations in a way that is not always an advantage for a fly fisherman. The majority of the flats are rather deep from 70cm to 1,5m what makes the fishing a bit more difficult. First to see the fish, second to bring the fly down where the fish can see it and third not to spook the fish with the naturally heavier flies. 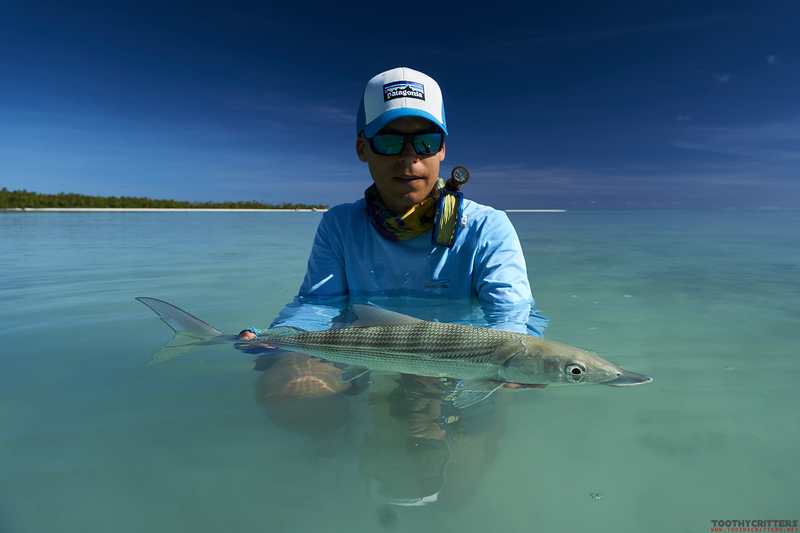 Wade fishing is possible but not on every flat and usually the deeper flats are the home of the big boys. It’s a bit more tricky. But on the other side you go out with the best guides on the pacific. How was the fishing? It depends from what angle you want to see, it either good or bad. Quantitatively rather bad but when it comes for quality extremely good. 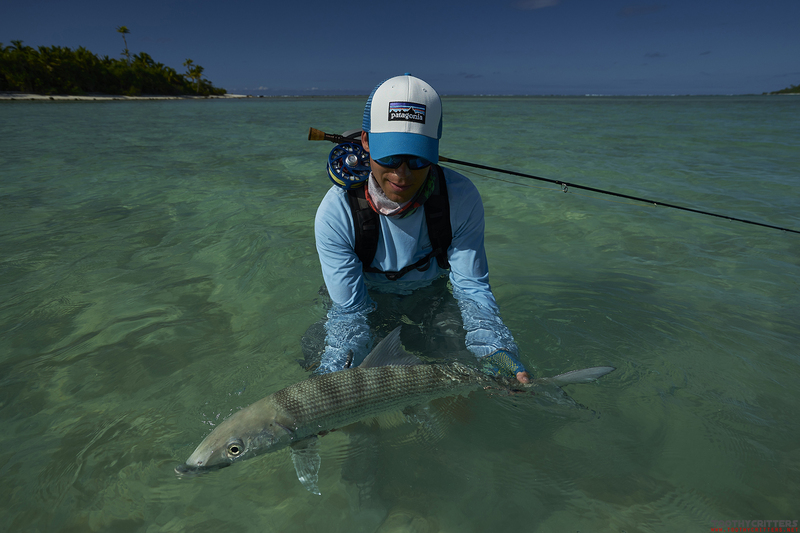 Aitutaki is in general not the destination to catch 10, 15 or 20 bonefish so bury your expectations if thought so. On good days catching up to 10 fish is possible but on most of the days it is less than that. And then there are these days where you catch only one fish and this can be your fish of a lifetime. What do you prefer? 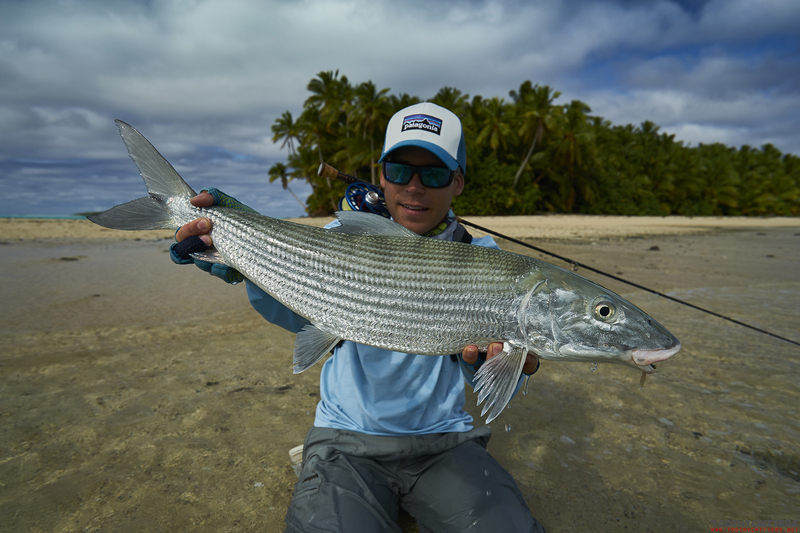 I caught a very big bonefish on Aitutaki. It was Wednesday, the day after my marriage hehehe ;). Yes I have very nice wife.! She wanted me to go fishing to use the days with the more fly fishing friendly weather. To be honest the day didn’t started all too good. We were trying to stalk some GTs but they didn’t show up. So we went bone fishing. 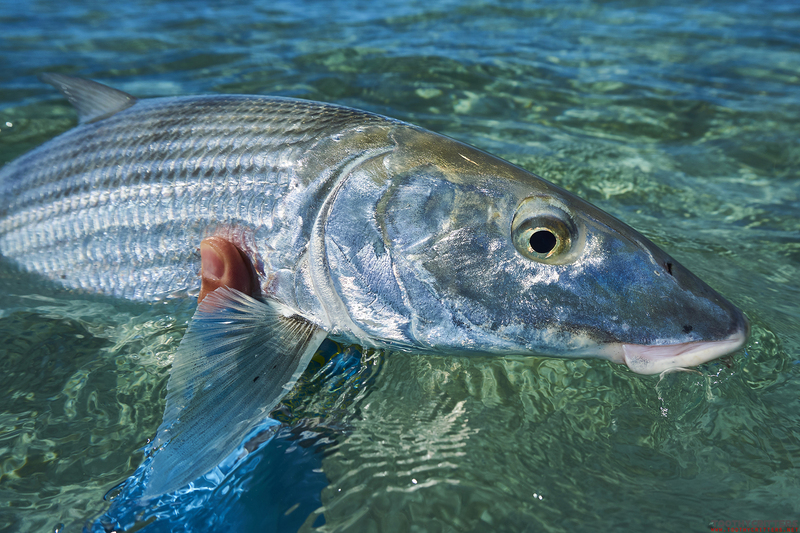 I caught 3-4 good size bonefish. Nothing spectacular, maybe 6-8 lbs. And it was already afternoon on a particular small flat. I remember that flat because it was the very first flat I was fishing in 2014. Not purely sandy and with smaller patches of coral. Around 30 yard away a pack mid size bluefin trevallies showed up and thought to myself why not. It was a long cast and the take came instantly after 2 seconds. I was sure I hooked up one of the trevallies. Especially also because the fish went off like a rocket. 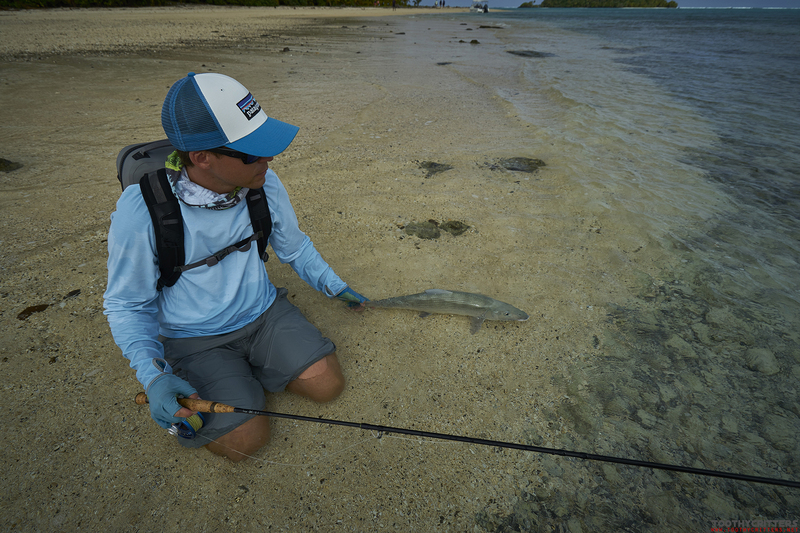 I was battling the fish for maybe 20-30 seconds in close distance around me until the fish decides to head for the deep blue water of the lagoon. 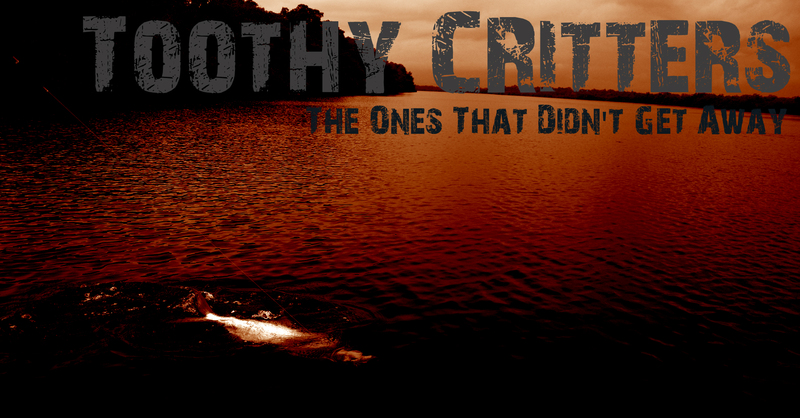 I had the drag set very tight, I still believed I fight a bluefin trevally. 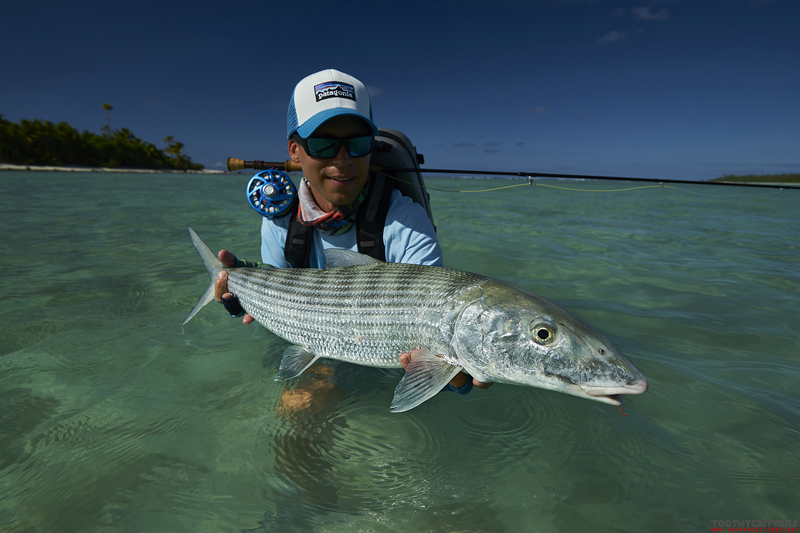 Once the bonefish found a direction to head for he was unstoppable ripping more line from the reel I expected from a bluefin trevally. With each additional yard more line out I estimated the fish bigger. Finally yard by yard I reeled him back and for my surprise it was a bonefish and it looked really really big. In Rua’s (=the guide, comes from the number second because he was born as second baby) eyes I could see that such a fish was also for him something special for him. Although the are used to such fish, and they have seen far bigger ones, not every client is able to hook and catch them. Still the fish was not caught and it took me further endless minutes until the fish was in my hands. Wow, the fish was huge, not only long but also fat. A fish of a lifetime…..